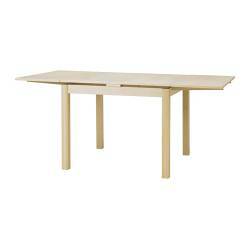 We are selling our Ikea dining table, with two chairs which has a navy blue color. 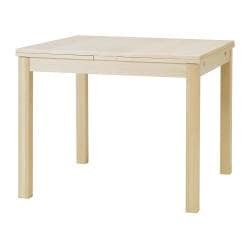 The table can be expanded to seat more people, but it’s a good size table for a small family. The chair covers are worn out and they either need to be washed or replaced, other than that there is no other problem with this set. Dining table with 2 pull-out leaves seats 4; makes it possible to adjust the table size according to need. Pull-out extra leaves serve as practical utility surfaces and can be stored under the table top when not in use. Table surface with clear lacquer finish; simply wipes clean. Email me at the above address or call my mobile (626) 224-6041, if you are interested in seeing/buying the dining table and chairs.